Epsom salts have long been associated with the easing of stress and improvement of sleep and concentration. The healing benefits help to flush toxins, improve absorption of nutrients like magnesium and help muscles and nerves to function properly. Epsom salts in a bath of hot water absorbs toxins, extracting them from the body, resulting in a weight loss. Creating an Epsom bath is simple and the added advantage is that the bath sedates the nervous system, relaxes muscles, reduces swelling and more. 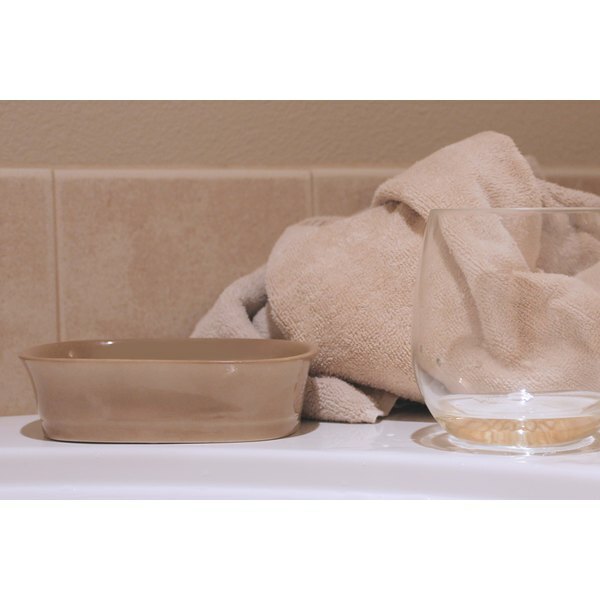 Gather your cool towel and glass of water and begin to fill the tub with hot bath water. The bath water should be approximately 40-degrees C or 104-degrees F.
While the tub is filling, add 1 cup Epsom salts. Measure the sea salt in your hand and add one handful. Add 2 tbsp. of the bath oil It is important to add the Epsom salts as the tub is filling because it will get lumpy if exposed to the humid bathroom air. Before emerging in the tub, drink the glass of water and place the cool towel on your head. Relax in the tub for approximately 20 minutes. The curative hydro-therapeutic treatment of an Epsom salts bath has long been used for relief in rheumatism, diabetes, gout, skin disease and more. There is an additional benefit of an Epsom salt bath, however, and that is to help aid in losing weight. If you suffer from high blood pressure, heart disease, kidney disease or diabetes, do not take a warm bath in Epsom salts.